Designer Builder Brads (129329) - If you build it...creativity will come. 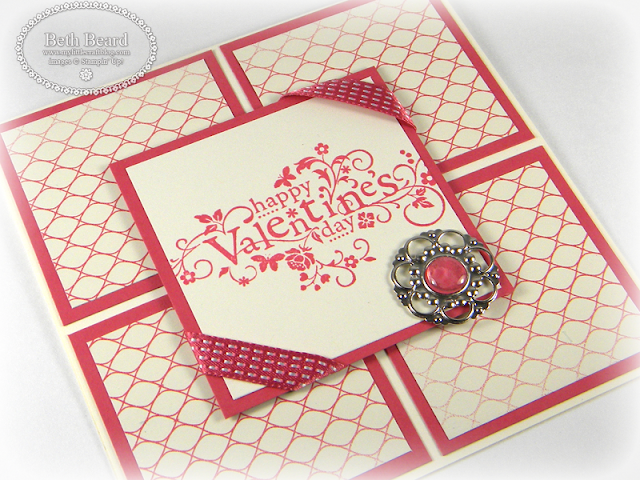 Add paper or stamped images then enhance with an epoxy bubble on top. You can also also embellish with the new 8mm rhinestones (129324 - Spring Catalog) or pearls (125577). 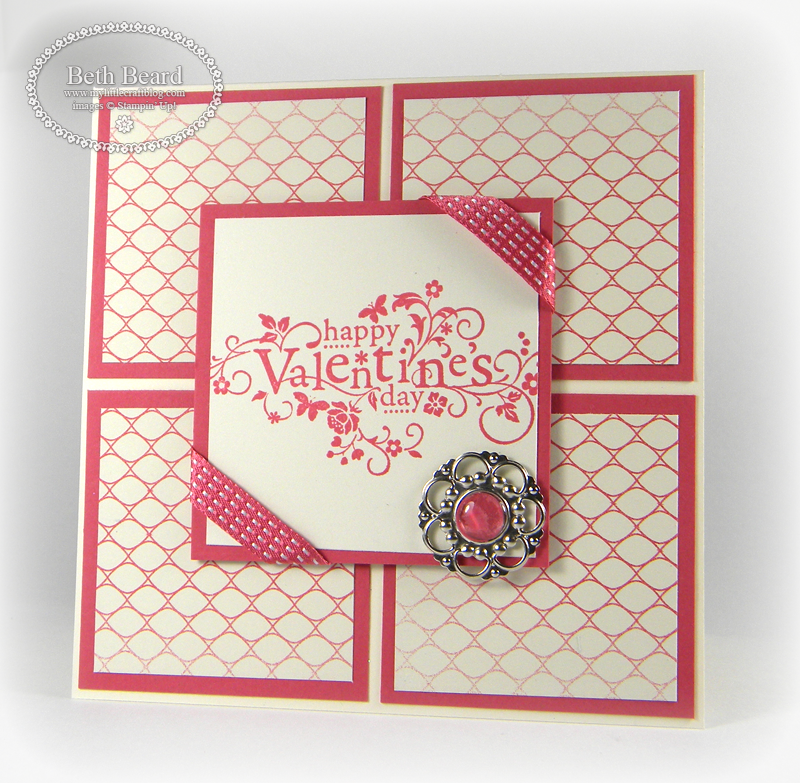 These brads coordinate with Itty Bitty Stamp Set (128939-Spring Catalog) and the Itty Bitty Shapes Punch Pack (118309), which gives you endless possibilities! Print Poetry Designer Series Paper Stack (129312) - 48 sheets in each pad of 12 double sided designs. Each sheet measures 4-1/2" x 6-1/2". It's freezing outside, so how about we daydream about love and spring? (And if it's not freezing where you are, then consider yourself lucky!) Check out this week's new downloads, full of Valentine's Day stuff and spring things. (PDF) Don't miss our Officially Awesome Valentines Designer Template with its tiny, trendy valentines that fit in tiny, trendy envelopes. What a great card, Beth! I need to order this DSP pack and the brads...so many things came before these, but after seeing your card, I know I need to get these items...and more! TFS! This card is absolutely gorgeous (as usual)! !